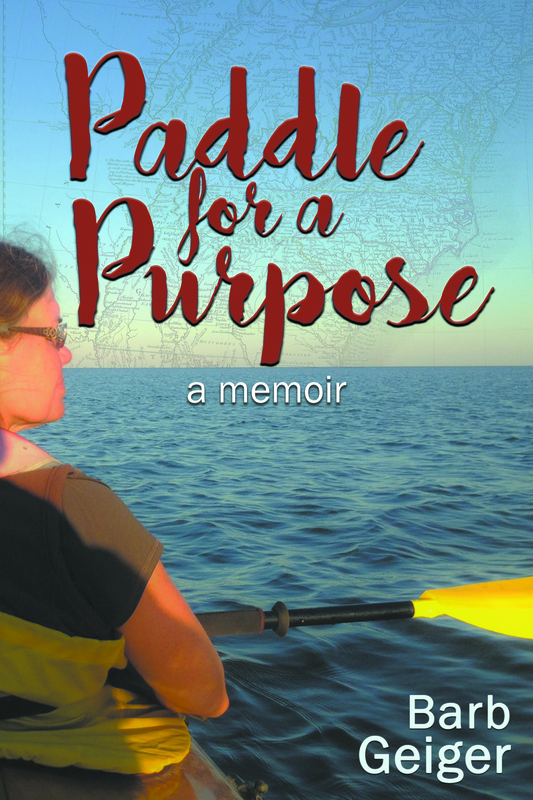 Three days to release, and Paddle for a Purpose has a cover design! The process was longer and involved more emails (and less sleep) than I anticipated, but I love the final look. My publisher took all our ideas into consideration, and tried a couple different designs before we settled on this one. I love that when you look closely, you can see a map behind the title! The back cover will have a synopsis, three author recommendations, and a short author bio, over a faint background of Gene and me in the kayak. I hope you like it, too. It sure will be easy to find on bookstore shelves. Thank you, eLectio Publishing! Now that we have a release date (April 3) for the memoir, Paddle for a Purpose, we’ve been busy updating our website. To share our excitement with you, we’ve added a countdown to the release date, and to make it easy for people to order, we’ve added a link to eLectio Publishing. You’ll be able to order Paddle for a Purpose right from there, as soon as it’s available. Before then, feel free to click on the link to look over eLectio’s varied selection of great books! We’ve added new features to the website for readers, too. An interactive map is available here to help readers follow along as they wind their way to the Gulf of Mexico within the pages of Paddle for a Purpose. Markers on the map show towns where we stopped to volunteer with service organizations. Clicking on each marker pops up a photograph, a link to the charity’s website in that community and a brief description of what they do. Feel free to explore the links and support the wonderful things these organizations are doing to help others. In addition, we’ve added five pages of photo galleries with pictures of the people, places and wildlife that are mentioned in the memoir. As readers enjoy the small moments on the water, the conversations with people we meet and our camping exploits, they can refer to color photographs which couldn’t possibly all fit in the book itself. The interactive map and the photo galleries can both be accessed at the top of the home page on this site. We hope the interesting sights whet your appetite for the many entertaining and heart-warming stories of our Paddle for a Purpose! A few years ago, when I was barely into the first draft of Paddle for a Purpose, when I wasn’t sure it would ever be polished enough to be published at all, I read Dirty Shirt: A Boundary Waters Memoir by Jim Landwehr. Jim was a colleague of mine at All-Writers’ Workplace and Workshop. I was eager to read his first book. Like mine, it was a memoir, and it was about canoeing! I loved Jim’s humor, gentle storytelling style, and emphasis on family relationships. His publisher? eLectio Publishing. Intrigued, I visited eLectio’s website, and learned their mission included discovering and publishing works by both new and established authors, and publishing God-honoring stories…stories that exemplify Christian living. A seed was planted. If my story was ever ready to send to publishers, I wanted to send it to eLectio. I wanted to work with a God-honoring publisher. I certainly met the criteria of an unknown author. Maybe I had a shot. Last fall, after more drafts than I ever would have predicted I could write, the manuscript was finally ready. “I have a publisher in mind for you,” said Kathie Giorgio, my writing coach and founder of the AllWriters’ studio. “I think eLectio would be perfect.” I agreed, but together, we still came up with a list of over twenty small presses for submission. Despite plenty of options, my heart was set on eLectio. I submitted to them first, determined to give them a head start before submitting elsewhere. “Don’t worry,” said Jim, when I didn’t hear back. “They’re really busy. But, I’d be surprised if you don’t hear from them.” I hoped he was right, but submitted to another group of publishers. If God did have a different publisher in mind for Paddle for a Purpose, who was I to submit to only one? And then, after a few weeks of hoping, doubting, praying, trying to distract myself… I got the email. Christopher Dixon, of eLectio Publishing, wanted to speak with me. Oh, my heart raced! After talking with him, I could barely contain my excitement. It was really going to happen. Paddle for a Purpose would be published. I would be an eLectio author! Still in the middle of the process, I am grateful, each day, for the opportunity to work with eLectio – for their faith in me and in the quality of my work and the merit of our story. Click on the link to check out their website and see if you don’t agree. I couldn’t have found a better home. My writing coach, Kathie Giorgio, once told me that publishing a book is like giving birth. Each one is different – and special. I’m sure she’s right. But I’ve only got one childbirth to compare with one book, and I think perhaps the childbirth was easier. The manuscript, Paddle for a Purpose, is finished now, resting between the covers of a three-ring binder on my shelf. I’m submitting it to small press publishers, hoping to find one who sees the same hope and promise that Gene and I have seen in this story since setting out on our kayak trip years ago. Already, the gestation period for this book-child has been five times as long as that of my son, Eric, whom I welcomed into my arms and into my life almost 27 years ago. I’m getting eager to hold the book in my hands, to run my fingers over the cover, and flip through the pages. Some of you have told me you are also anxious to see it – to read the story of God’s work in us during our months on the Mississippi. So, what took so long? It’s just a book, right? 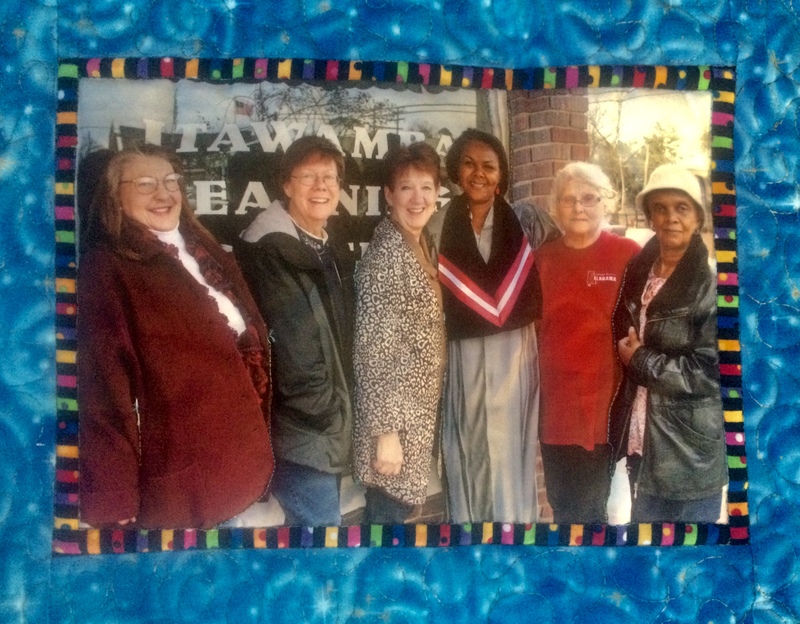 The first year, I worked with a small group of colleagues in a Write-a-Book Workshop. We read and critiqued each others’ work, meeting once a month to discuss our books in progress. I loved being immersed not only in writing our story, but stories in other genres, as well. After the first draft was finished, I worked by myself for a while, then weekly on another draft with a different group of colleagues. Descriptions became more vivid, sentences more succinct, and inner thought more apparent, as other writers asked questions and offered suggestions. Next came a Writers’ Retreat, where I solidified the all-important beginning of the story. Then, more drafts, reading through the manuscript with Gene, cutting out unnecessary sections, and adding authenticity to the dialogue. After a couple more independent readings, I worked through the manuscript again with the help of my writing coach. Each time, the story stayed the same, but the telling improved. After the last independent read-through, I finally reached the conclusion that the memoir was written the best way I knew how. When I began to put our story on the page, I had no idea how much revision it would need or how much I would learn in the process. I’d like to thank Kathie Giorgio, and my AllWriters’ Workplace and Workshop colleagues, not only for their help with this book, but for encouraging and helping me grow as a writer. And of course, I need to thank my husband, Gene, for his patience, support and invaluable assistance, both during the trip and the writing process. Welcome to Paddle for a Purpose! Hi! I’m Barb Geiger. My husband, Gene, is a dreamer. Maybe you know someone like that – someone who has grand ideas of epic adventures. Maybe you are a little like that yourself. Or maybe, you’re more like me; you’d need a pretty good reason to hop into a twenty-foot boat for five months. Either way, my memoir, Paddle for a Purpose, has something for you. I hope you’ll join us for an amazing adventure! “You want to WHAT?” I ask, when Gene suggests, after one practice run in the tandem wooden kayak we built ourselves, that we take her down the Mississippi. The WHOLE Mississippi. Our search for a meaningful journey leads to a faith-inspired paddle down one of the most scenic and powerful waterways in the United States, stopping in quaint river towns along the way to volunteer with 26 different charity organizations. 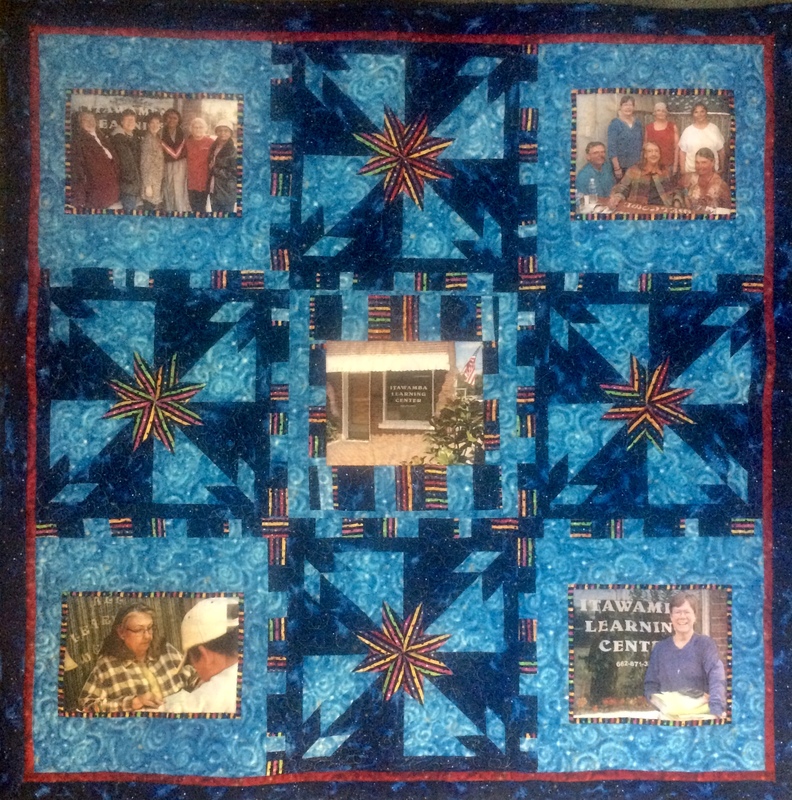 Overcoming obstacles like stump fields, poison ivy, boating accidents and equipment failures, a sense of humor, love and trust in God help us remain committed to the service purpose of our journey. This book will appeal to anyone who dreams of taking an epic journey and those who are inspired by stories of God working in the world today. Campers, boaters, and nature lovers will enjoy the picturesque settings, the wildlife and the river’s changing moods. Readers looking for inspiration will find hope in the people we meet along the way and the touching stories of everyday heroes who donate their time and talents to offer compassion, care and opportunity to others. Paddle for a Purpose was released by eLectio Publishing, a small faith-based press, on April 3, 2018. I admire the work they do, and am delighted to join the eLectio family of authors! On this website, you can find a link to eLectio Publishing, where you can purchase the book for yourself or for your friends. We will post current information about appearances and signings. But even more, you can visit here to see photo galleries of our trip – the rivers, the wildlife, and the amazing people we met. You’ll also find an interactive map of the towns along the river where we stopped to work with charity organizations. Pop-ups explain about each organization and link you to their websites, where you can learn more, volunteer, or donate to their missions if you wish. Feel free to visit us often, as you read your way down the river! One hundred percent of the author profits of the sale of this memoir, after taxes and expenses, will be donated to charities including, but not limited to, the organizations highlighted in this book. We hope you will enjoy our adventure as much as we did!